Mrs. Linda Conrad is a native of Sioux Falls, SD. This is her 32nd year of teaching in Music Education. She earned her vocal and instrumental music education degree at the University of Nebraska at Lincoln and her Masters of Science in Education with an Emphasis in Leadership through Southwest Minnesota State University. She has done extensive post-graduate work at South Dakota State University, University of South Dakota, Morningside College, Black Hills State University, University of Sioux Falls, Northern State University, Augustana, and Hamline University. Mrs. Conrad has taught in multiple schools in the Sioux Falls community for 32 years. She has taught at all levels in both Vocal and Instrumental. Those schools include Hawthorne, Laura B. Anderson, Lowell, Hayward, Patrick Henry Junior High, Oscar Howe and Christian Center Elementary. Her High School experience started at Roosevelt High School where she worked with Al Stanga to open Roosevelt as a new High School and establish a vocal program there. After teaching at Roosevelt for 8 years, Linda stepped back to do some part time work in music and to spend time raising children and caring for a parent suffering from cancer. In 2006, she returned to teaching full time at the High School level at Lincoln High School. 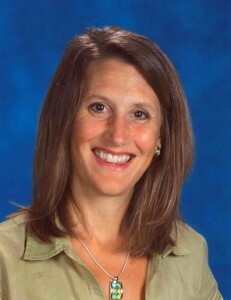 Mrs. Conrad is currently in her 12th year at Lincoln High School. Mrs. Conrad directs the Concert Choir, Girls Chorale, Chamber Choir, Bel Canto, and Sotto Voce. In addition, Mrs. Conrad had a private studio for years and has served in the capacity of church choir and brass director, adjudicator, festival director, and as an accompanist for the Singing Boys of Sioux Falls, The Sioux Falls Master Singers, various festivals, and SD Honor Choir. She has chaired Festival of Bands and SD All-State Chorus and Orchestra, and currently serves as the Repertoire and Standards Chair for Women’s/High School Voices for SD. She is an active member and clinician for ACDA, SDMEA and most recently, has been a guest speaker, teacher, and conductor for several Universities. Throughout her 32 years of teaching, her vocal and instrumental students and groups have performed throughout the community, at sporting events, state and regional conventions as well as participated in local, state, regional and national honor bands and choirs. In 2016, Mrs. Conrad received an Exceptional Teaching Award from Stanford University. Mrs. Conrad loves to travel, and her hobbies include hiking, biking, reading and spending time with her family. Mrs. Kathy Ferguson is a native of Freeman, South Dakota and is in her 26th year of teaching vocal music. She serves as the assistant chorus director at Lincoln High School in Sioux Falls, South Dakota where she works with the Cadet Choir, Cliff Avenue Singers, Cantare, and Canto Fratelli. Mrs. Ferguson received her B.A. in Music Education from Bethel College in North Newton, Kansas. She spent her first year teaching K-12 vocal music in Ellendale, Minnesota. Following that year, she joined the Sioux Falls School District and began teaching at Cleveland Elementary. After spending several years at the elementary level, Mrs. Ferguson transitioned to Lincoln High School as assistant vocal director and taught there for twelve years until 2003. During that time, she served as accompanist for various festivals, South Dakota Honor Choirs, and South Dakota All-State Chorus. She has served as the choir director for children and adult church choirs and for several years maintained a private studio teaching piano. She is an active member of the ACDA and SDMEA. Mrs. Ferguson did take some time away from teaching and served as worship director in music ministry at Church at the Gate, Sioux Falls, for several years. She had the opportunity to return to teaching at LHS in 2010. Mrs. Ferguson loves spending time with her husband Bret and their two children, Graham and Ashton. She also enjoys cooking, baking, walking, and traveling.